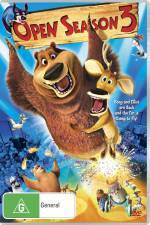 In the third incarnation of Open Season, we see a continuation of the story of Boog and Elliot as the friends get separated when Boog ends up in a circus after a quest for adventure and chocolate doesn't go quite the way he'd planned. Pretty soon Elliot and the rest of the gang are on a quest to save him before he winds up in Russia with the rest of the circus. Whilst I am sure that kids will have a ball with this one, I think that a lot of what would have brought adults to the franchise is gone. Little things like the main characters no longer being voiced by the actors who brought them to life so that fans of the series don't have that immediate recognition when you hear someone speak. 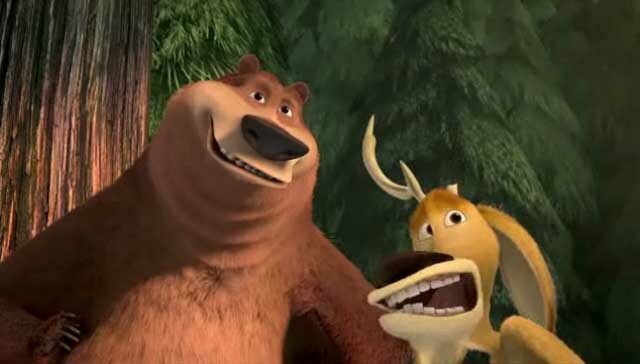 The premise to the story seems a bit tired and whilst kids won't care one way or another, I do think that Open Season has become one of those titles that are a bit of fun but most adult viewers will use the time its running to do things prepare meals or wash dishes. The video transfer on this title is excellent and up there with what you could expect from a proper theatrical release. Animations are great and the screen truly does come to life with the way that the characters are animated. Surround sound is used very effectively to bring certain moments to life. The extras round it all off with some pretty ordinary games and BD Live content which the kids will never utilise. It might have even been better in this instance to have put no extras on the disc than this assortment of extremely poor ones.